A wrap and turn is used in short row shaping and this simple technique can be a source of confusion for many knitters. 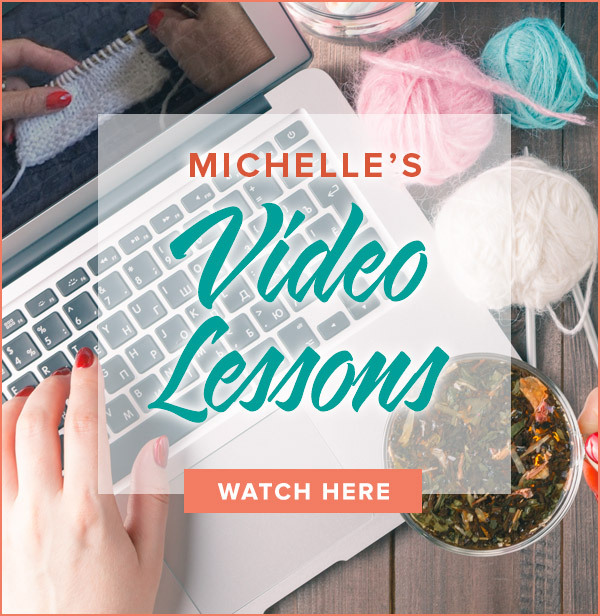 Take the mystery out of the W&T with this video that demonstrates the wrap and turn on the knit and purl side of your work. The W&T means you have to turn your work to the other side then knit those 8 sts you just worked on in Row 1. 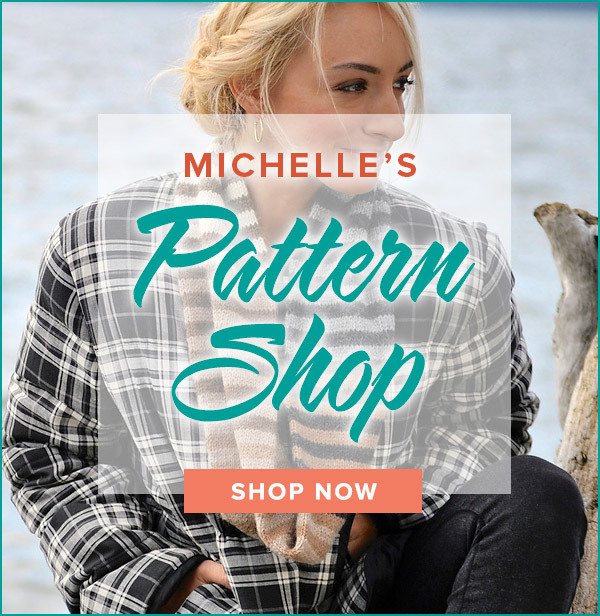 I highly recommend that you look up the pattern on Ravelry and search on the pattern’s project page to see how other knitters handled the pattern. It may also give you a way to contact the designer for more help. Good luck and happy knitting! I’m knitting the Agleam shawl by Joji Locatelli, a paid pattern on Ravelry. In “Short Row Section 1”, Row 1, the pattern says to K2, M1R, k1, M1L, k3, W&T. Row 2 says to knit all sts. Okay, this is my first time doing W&T, so I’m following your video in this post (thank you!). I don’t understand the Row 2 instructions. If I’m starting with 67 sts on the needle, follow Row 1, how/where/what for Row 2? Beginner-itis….. Sounds to me as if you work the wrap together with the stitch on the wrong side since you are purling. Lift the wrap and place it next to the stitch it previously wrapped and then purl them together. My Picking Up Wraps video will demonstrate this. I also recommend checking out your pattern on Ravelry’s project page for the pattern. Other knitters may describe how they handled the situation and you may be able to contact the designer as well. Happy knitting! Do I lift the wrap onto the needle with the wrapped stitch to accomplish this? Other suggestion? This is on the front of a vest. Thanks! So sorry that the pattern is not working out for you. I suggest reading tips on its project page from the other people who knit the pattern or trying to contact the designer. I always say that if the pattern seems too hard to understand then it’s time to look for a new one. Try working the wrap as follows: move the yarn to the front, slip st to RHN, move the yarn to the back, slip the st to the LHN. This should lock the yarn in place. My pattern says knit 24 wrap and turn knit 24. All the videos show purling back. how do I knit back because my yarn after the wrap and turn is on the purl side and if I move it back to knit I will unwrap. You are most welcome. Happy knitting! Your video showing wrap and turn is awesome. You do an excellent job describing and demonstrating how it is done. I’ve watched many other videos and still could not get it. Thanks for your excellent help!! If the 3 sts are on your right hand needle, knit the remaining 17 sts. Then, you will knit all 20 sts picking up the wraps as you work across the row. Happy knitting! Hello, thanks for the video. I am very new to knitting and learning as I go. After I have done a few rows on the W&T the next row says ‘Knit across all sts (20 sts)’. My question is, what do I do with the 3 remaining stitches on the needle after my last W&T as to knit 20 sts I need to use these. Can I just transfer them to the other needle with out knitting them? Also my pattern doesn’t say anything about picking up the wrap do I need to do this? The W&T is done on the 4th stitch. On the P3, begin with yarn in front. Happy knitting! Your video shows very clearly how to W&T on a knit row and the difference on a Purl row. Thank you so much. If the instructions say, K3, w&T – is the W&T done on the 3rd or a 4th stitch. I would wrap the 84th stitch. Good luck! My pattern just says “turn” at stitch 84, but I want to w&t because I don’t like the wholes. Do I w&t stitch 84 or stitch 85? What the pattern is asking you to do is to work to the wrapped stitch, pick up the wrap and then work it together with the stitch it previously wrapped. Check out my Short Row Heel Part 2 video for a tutorial. Happy knitting! Do I really add another W&T on each of these rows? Won’t that make it impossible to ever get them all worked in? Plus I’d be wrapping a stitch that is already wrapped (If it helps I’m doing a sock monkey http://www.redheart.com/free-patterns/red-heart-sock-monkey) I’d appreciate your help! Thank you! Short rows can be tricky – I’m glad I was able to help! Check out my garter stitch short row heel video to see how these wrap and turns are made. I am knitting garter stitch in the round. How do I do wrap and turns without getting a hole? I am delighted we were able to knit together! I am happy to be able to follow your intructions . Especialy when I get stuck . Thank you for the knit along Cobasi yarn companytoo. Lourdes Nelson. This would be a garter stitch heel. Check out my video to learn how. Good luck and happy knitting! What if you knitting 20 lets say, then have a wrap & turn but on the other side you are knitting again vs. purling as shown in the video? Do you pul the yarn back through before you start (seems like its unwrapping the W&T) or do you put the needles in then pull the yarn back (seems like its doing a yarn over or something funky). Not every pattern requires a wrap and turn. Your pattern may be one that does not. Put in a lifeline and then work the pattern as instructed without the wraps. If you don’t like it then you can easily take it back and work the wrap and turns. My instructions for a certain row say to knit 10, turn. A. Should I always wrap? B. Do I wrap stitch #11 or #10? Seems like it’s probably #11, but I’m not sure. Thanks for your help! I’ve already learned so much by watching other of your videos! Work (knit or purl) to the stitch that needs to be wrapped. Move the working yarn between the needles to the opposite position, i.e. if you are knitting then move it to the front, if you are purling then move it to the back. Slip the stitch to be wrapped to the right hand needle. Return the stitch to the left hand needle. Yes, the stitch you are wrapping in your pattern will be the 4th stitch. If you are doing a wrap and turn on garter stitch do you undo the last bit so your yarn is on the right side? Also it says to knit 3 stitches then w&t…are you actually doing the w&t on the 4th stitch? I’m glad it helped! I would love to sit and knit soon!!!! Thanks for the video – simple, simple! It was nice to see you today – I will try and make it in when I have time to sit and knit!